Tengen Toppa Gurren Lagann (天元突破グレンラガン) was, and is, one of the greatest modern anime series of all time. I use the term modern to distinguish it from the 1990s and earlier anime that had a very different feel and tone to them. People watching anime today would already likely consider it old and dismiss it, which would be a crying shame. 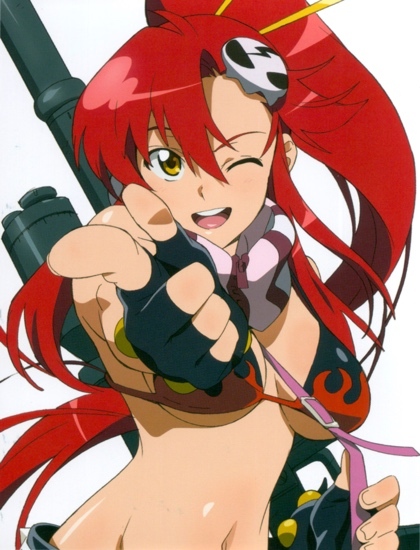 Kamina and Nia Teppelin were my favourite characters, but Yoko also kicked arse. She was the straight-shooting muscle, but also had a caring side that leant Simon strength after a certain event. I blogged about it back in 2011. If I had any criticism, it’s that its not Nia Teppelin instead (cough), and that she looks more mature in her art. I know cute sells, but I’d be keen seeing more grown up versions of characters from older series as well. Gurren Lagann would be a prime candidate for this given the series’ second arc. She’s available for pre-order now, and will be shipped in June 2019. If only my studio apartment shelves could accommodate. Sorry Yoko, but my Japanese NCC-1701-D took up that last bit of space.